Showing products CNC grinder, drill bit re-sharpener, end mill re-sharpener, screw tap re-sharpener, lathe tool grinder, saw blade sharpener, universal cutter grinder, universal tool grinder, chamfer,tapping machine, etc. China CNC Machine Tool Fair（CCMT）was initiated in Shanghai in 2000 and has been successfully held for 8 sessions, 5 were held in Shanghai, 1 inBeijing and2 inNanjing. 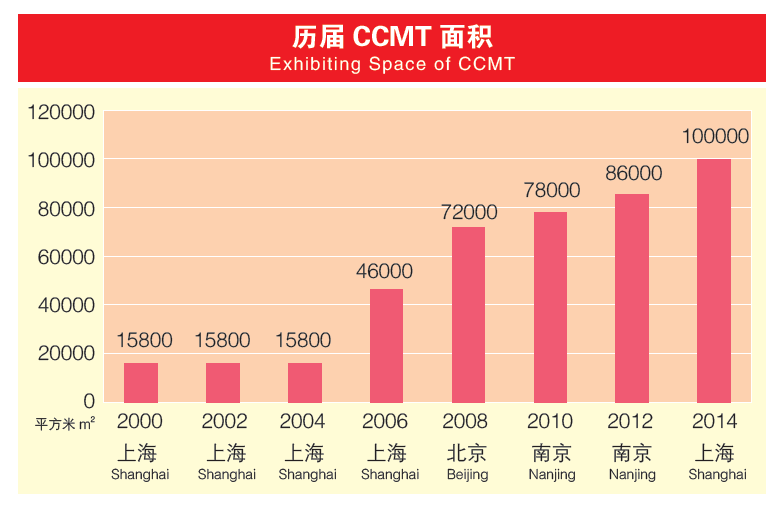 For long-term development and providing a larger platform to exhibitors, CCMT move back to Shanghai in 2014 and will be fixed in Shanghai forever. Based in South China,CCMT echoes with CIMT in North China,and will provide more vast space to exhibitors from both home and abroad.CCMT is the sister show of CIMT which is the most authoritative machine tool show in China,and now it plays more and more strong influence on the machine tool industry and its users.